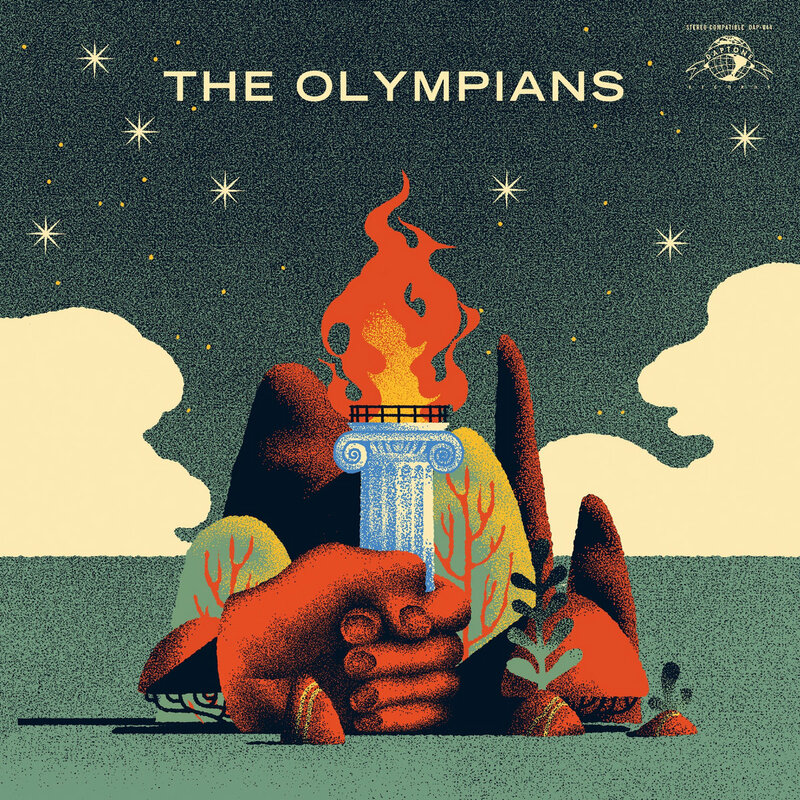 The Olympians is a big, bold name for a music project, conjuring images of Greek gods, heroic deeds and epic stories. In a world where 'go big or go home' means something because, in part, not everyone who attempts to 'go big' succeeds, the name sets a high and very public bar to jump over. But when you have a label like Daptone, and a roster of musicians from the bands of Charles Bradley, The Dap-KIngs, Menahan Street Band, Budos Band, Tonight Show Band, Lee Fields, El Michels Affair, The Arcs, and Sugarman 3, plus the musical director for Steely Dan and David Byrne, perhaps the attempt isn't so brash after all. The project is the brainchild of vibraphonist and pianist Toby Danzer, who dreamt he was asked to tell the tales of ancient Greek gods. Toby's accepted the challenge, and chose to fulfill it via instrumental soul music with the assistance of some of New York's best musicians. And the results are fantastic -- vibrant, evocative soul music that manages to connect with the listener despite the absence of any spoken words. Pazner and company set the stage, provide the backdrop and inspiration, and let your mind paint the rest of the picture. It is indeed digital magic, my friends, and you owe it to yourself to give The Olympians a try. In addition to Toby Pazner, The Olympians are Thomas Brenneck, Dave Guy, Leon Michels, Micholas Movshon, Homer Steinweiss, Michael Leonhart, Neal Sugarman, Aaron Johnson, and Evan Pazner.